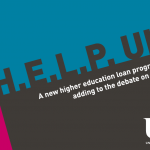 HELP UK offers clear thinking and simple steps to enabling universal access to student loans for the first time while bringing down the massive cost of the current loans system. The UK cannot predict or plan for the future with any certainty. However, we do know that much is changing in the world around us: how we work, create, share and receive knowledge; how we deliver value; and how we connect to communities around the world. Our education system needs to adapt to this rapid pace of change, as individuals and the economy place new and changing demands on how and what higher education delivers. This was the starting premise for the work University Alliance has been undertaking to look into the challenges facing the higher education funding system and to identify solutions. 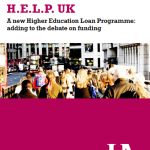 Our uni_funding work has taken us on a journey towards the development of H.E.L.P. UK, a new Higher Education Loan Programme providing universal student loan access for the first time. It has been an open process of collaboration with many people across the sector and beyond. The process has incorporated extensive modelling and research from funding systems across the globe. The resulting model has also been tested, and shaped, by the views of students and parents through workshops and from newly commissioned research by Ipsos Mori. To find out more about how HELP UK read our summary booklet or full report. The following evidence report sets out the significant background evidence as to why a new funding approach is needed and draws out the key findings that have helped to inform and shape the development of our H.E.L.P. UK proposals. These proposals present options for further debate and consideration. 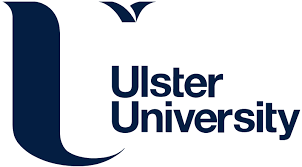 HELP UK has been developed with extensive economic modelling, student and parent surveys and workshops across Alliance universities, and comparisons of funding systems across the globe.